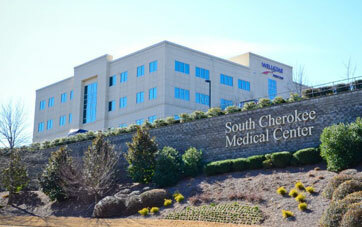 For your convenience, our state of the art ambulatory surgery center, the Samson Pain Center, PC (Georgia Permit # 028-253) is located on-site with our medical practice at the South Cherokee Medical Center. We can often accommodate patients for an appointment within 24 hours. From I-575, take exit 8 to Town Lake Parkway and travel west. Follow Stone Bridge Parkway up the hill to our building on the right.